PCACAC recognizes that members may not always have the financial resources to implement student programming. 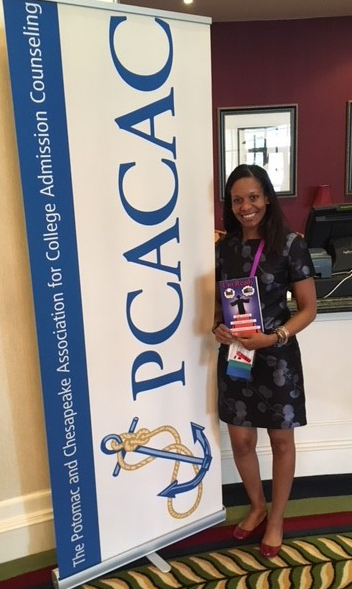 To address this need, in spring 2013 PCACAC began offering the Student Support Grant (SSG) to help underwrite worthwhile initiatives that directly benefit students in the college transition process. Join us at the Membership Meeting & Awards Luncheon on Friday, May 2, from 11:45am-1:45pm during our 54th Annual Conference to congratulate this year's recipients of the Student Support Grant! Charlain Bailey, Independent Counselor (and retired from Montgomery County Public Schools) and Shannon Babe-Thomas, Executive Director for Community Bridges, join hands to take 10 Community Bridges junior girls to Spelman and Agnes Scott women's colleges in Atlanta, Georgia. Both colleges embody the same mission and vision of the Community Bridges Program - empowering young women of diverse backgrounds to be exceptional students, positive leaders and health young women. The girls will have the opportunity to spend time with a panel of young women who attend these institutions, come from similar backgrounds and experiences and who have successfully overcome economic and cultural barriers to attend college outside of their home state. The $400 grant will help cover the cost of food and transportation for the trip. The Student Support Grant may not be used to pay for professional development, speaker honoraria, or to benefit an individual student. The program addresses an unmet need in the community. The program can lead to the targeted participants' increased involvement in the college process. The program reaches underserved populations. The program proposal gives detailed plans for the use of the grant. Upon completion of the grant and submission of all original receipts, the recipient will be reimbursed for expenses related to their program. Use of a grant must be completed by December 31 in the year it is awarded. The grant recipient is required to provide a progress report on the planning of the grant-funded program, as well as write a brief article upon conclusion for the PCACAC newsletter, The Anchor. The grant recipient will be acknowledged at our annual conference. Congratulations to the 2018 Grant recipient! Melisa Hypolite: Melisa has been working with Baltimore City students for the past ten years. Most of her students have been first generation college students and most of these students have similar questions and face similar barriers that stand between them and a better education. 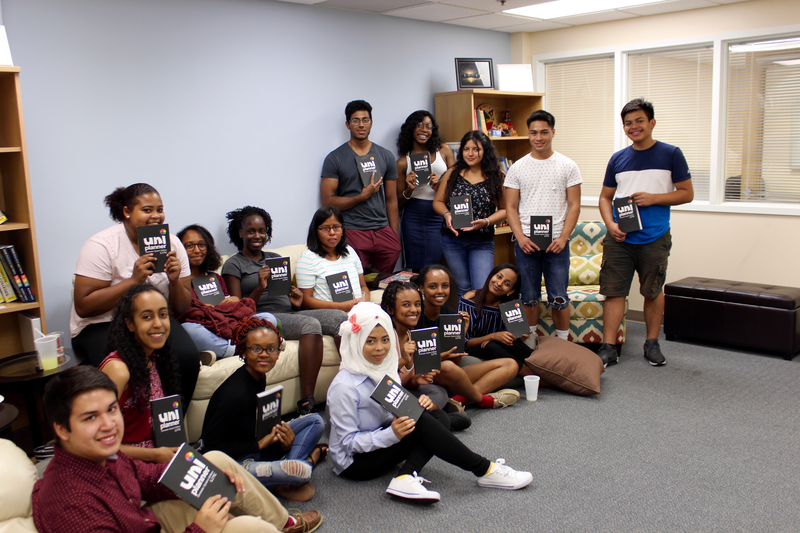 Melisa wrote a guide entitled 'Im Ready' for first generation college families and will use this $400 grant to give copies of her book to families in Baltimore City. This guide spans grade K-12 and ultimately helps the reader select an educational path that best fits the individual student learner. It includes areas to take notes and write the contact information for school staff members and gives suggestions on ways for the student's family to better communicate with K-12 school staff and how to reinforce lessons that the child learned at school when the child comes home. Learn more at www.myreadyguide.com. Every August, CDI counselors deliver a college transition retreat to their graduating class before they go off to college. It is a full day of activities beginning with a light breakfast and team building activity. The morning is spent in small breakout sessions where the students and counselors discuss case studies and solutions about challenges that can arise during the social, academic, and financial transition to college. The students then pursue a college focused outside scavenger hunt while the counselors set up a formal dining meal. Through two years of culminating workshops, CDI scholars graduate high school to be socially intelligent, service oriented, personally responsible, and lifelong learners. To prepare them with the social and cultural capital they need to attend a selective institution where formal banquet meal on campus or shared dinner with the president are possible, our scholars practice their etiquette skills with a real simulation. Following the student etiquette lunch served by counselors, students move into more breakout sessions and end the retreat with a student panel. CDI invites alumni and college scholars back to the office to serve as panelists and mentors to their younger peers. Students leave the retreat with a list of packing essentials and their CDI college counselor assignments. Amanda Davis: The Bridge of Mission, a West Virginia agency serving children in kinship care. Amanda is Program Director of The Bridge Mission. The SSG supported The College Trip Project, a statewide initiative to serve 100 middle and high school students in rural West Virginia. The College Trip Project took these students on their first college visits, an opportunity that their schools and families cannot offer. Christine Shaughnessy: NEXT STEPS College Consulting bus trip to NACAC College Fair in Baltimore, MD. Christine treated her underserved population from Severna Park High School to a bus ride to the National College Fair in Baltimore in October 2015. She is the Department Chair of Guidance at a very affluent school where most students have access to finacial resources. However, they have 85 free/reduced lunch students who have very little and they were able to benefit from this year's grant. Willie Lee: GOing2COLLEGEisEZ high school bus tour across the Hampton Roads region. Willie and his colleagues loaded up about 40 high school students and headed to Bowie State University (Bowie, MD) for one of the largest and most successfully run college expos held on the east coast, the 15th Annual Black College Expo. The Expo featured over 50 Historically Black Colleges and Universities (HBCUs) and educational organizations and programs.Its mission is to curtail the high school dropout rate and increase degree and/or certificate enrollment among underserved and underrepresented youth by: connecting students directly to HBCUs; exposing students to a sundry list of available scholarships; assisting students with college preparation and readiness; offering college acceptances and scholarships on the Spot; connecting students to career, internship, and vocational opportunities; and featuring life changing seminars and workshops. Read more about Willie's trip in The Anchor. Tamara LaPonte: 2013 College Application Boot Camp and College Tours for rising seniors at King George High School, King George, VA.
Counselors and an English teacher worked with students on their application essays, and prepared students for making effective college visits. The students visited at least two campuses. King George High School serves a primarily rural population, and the counselors encouraged first generation students to participate in the boot camp.